Cities and their metropolitan areas are at a crossroads – most have ambitions to continue in a growth trajectory and seek to accommodate this either through urban sprawl or by becoming denser. The theory is that more concentrated territories offer more efficiency in infrastructure provision, transport usage, economic, commercial and social functions. The Lyon metropolitan area – Grand Lyon – is developing such a strategy, working towards a multimodal metropolis. 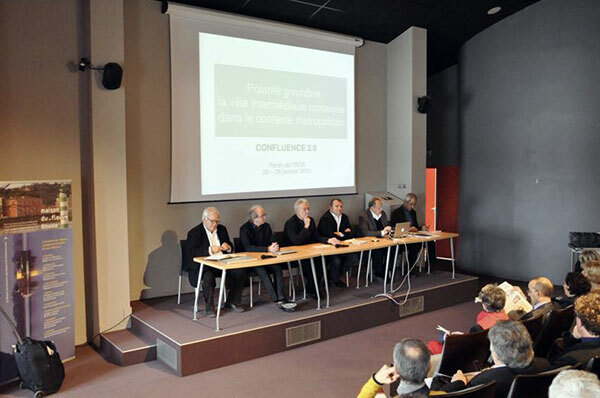 To enrich the debate between the 60 urban poles composing the metropolis, Grand Lyon invited INTA to bring an International Urban Development Panel to meet and reflect on the positioning of the South West pole centred on the cities of Givors and Grigny. The mandate was to review the overall coherence of the Metropolitan project, its viability and its implementation, and to focus on a higher level of strategic vision for the South West sector. The INTA panel had a unique opportunity to bring fresh development ideas for the area and offer more clearly defined options. First impressions of Givors are reasonably positive. The area is rich in cultural assets both in terms of human development and natural resources, especially landscape and access to the countryside. Other resources include a beautiful landscape – a major part of which is now a National Park, a network of rivers and watercourses, a distinctive setting defined by the River Rhone and by narrow valleys which have forced development into linear forms. The town also has traditional building assets and a town centre which is basically attractive but overly quiet with less footfall than in needs in order to be successful. Other assets are more recent, dating from the last 200 years and include industrial heritage such as the distinctive buildings and the landscapes of industry, connections with Modern architecture both in Givors and its hinterland and distinctive sports, particularly river jousting. 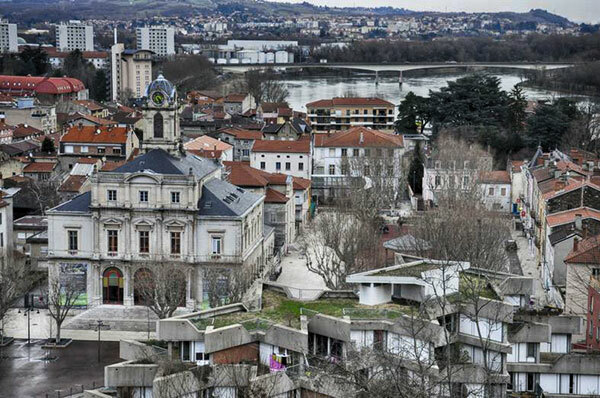 Looking towards the second and third decades of the 21st century, Givors could develop its identity as a distinctive southern pole with a well defined cultural life rooted in tradition but open to the future. To do this it needs to have a dual identity: one which respects the past and celebrates its traditions and achievements while the other identifies with innovation and opportunities for technological and entrepreneurial change. These dual identities require a well-developed civic life which is fundamentally open and social with an economy based on civic purpose, strong ethics and fairness. Our impressions of Givors were that it had reached this state already. The city has the potential to allow this rich civic life to be reflected in its public spaces, enterprises and cultural activities. What might a desirable future consist of – and how could it be achieved? The question of what sort of place could Givors be is fundamental. There could be many different physical scenarios and some will work better than others. One particular approach to the future development of the city might include the idea of intensification of use rather than sprawl. Combined with this is a focus on the river in terms of making it work through increased tourism, transport, habitat creation, landscape, recreation and improving the setting for the city. In parallel with the above approach would be the idea of developing multi-nodes or places within the city which have multiple roles. These could include the redeveloped station, either on the existing site or on a new location, to include a multi-modal interchange, car parking, housing, offices combined with small scale retail/cafes/bars and a civic space which ties all these functions together in the public realm. It could also include development of the Autopole into more meaningful complex – see related post. The traditional city centre of Givors might include a range of proposals aimed at increasing intensity of use, footfall and activity. These might include initiatives like buying up empty shops and renting them out to new business combined with focusing on civic activities rather than just retail. Programming the city centre spaces will be an important part of changing the character and intensity of the area and events and festivals can play an important part in this. 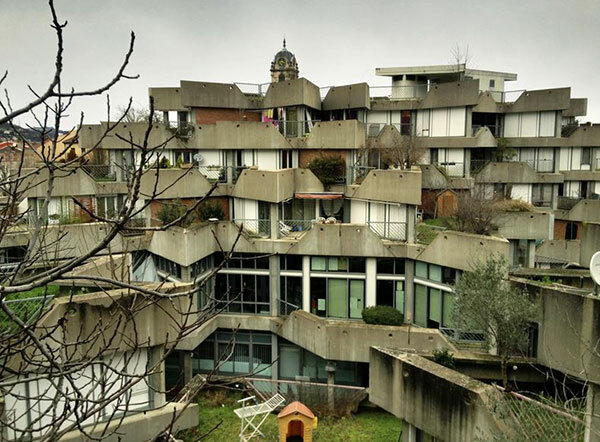 There is much potential to work with in Givors – local talent and local history, the architectural heritage (both traditional, Modern and contemporary), greening the centre and providing outlets for urban agriculture and an enhanced marketplace. One of the most valuable initiatives for the city centre would be the location of a further education establishment there such as a college or small university. Having a large numbers of students in the heart of the city centre each day would be a great source of activity, trade, colour and atmosphere. What would be needed is a dedicated City Centre Manager who would be responsible solely for making all this happen. Some of a Manager’s functions are outlined above but others might include developing an innovation and technology network based in Givors city centre with links to schools, the Autopole and city centre educational campus, apprenticeship and training links to local industry, the introduction of code clubs in schools where pupils could learn computer programming outside of school hours combined with entrepreneurial coaching from school age combined with work experience. This might also include a young designer’s network to cement together the idea that Givors is a place where things happen and where innovation and technology are at home. Of course Givors is not simply concerned with its city centre but with the whole city and its hinterland. Developing more focused neighbourhood facilities would bring local services to the point of need more efficiently. It would be constructive to develop a neighbourhood strategy based on access to facilities such as community centres, schools, sports and recreational facilities but especially links to health facilities to help to fill in the provision of facilities between the City Hospital and local General Practitioners. The ideal arrangement for this network of facilities (health, community, education, recreation, sport, retail) is for them to be based in a system of neighbourhoods structured around walking distance and established public transport arrangements. Finally the idea of stronger cultural connections to the rural hinterland is important. This would involve making more of the riverside, creating better links into the hills up the valley sides, more obvious links to the National Park and for Givors to appear as a significant city in relation to the Park. As well as incorporating sport and cultural heritage, the idea of using the landscape as a resource for sustainable food procurement, culture, heritage, renewable materials, training and employment could be a critical part of this strategy. 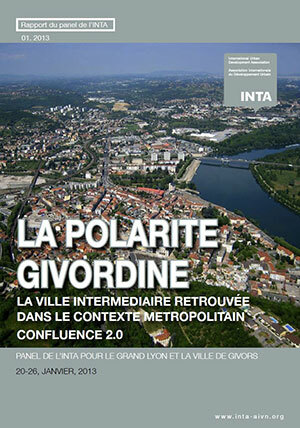 Givors has the potential to become a thriving urban centre in the Lyon metropolitan area. To do this it needs to make a shift from being a development orientated node – where retail stores play out their regional strategies – into a far more focused and intensified place where there is clearer priority on the city centre, its fabric and the people who live in its vicinity. At the same time, a place strategy is not about physical architecture – it is not constructive to leap from regional policy planning to individual masterplans and the design of single development proposals. There is an intermediate layer which is critical to the implementation of strategy whilst giving more shape to the emergence of individual development proposals and designs. Givors should adopt this far more integrated and holistic approach to the idea of place, preferably developing some of the ideas about nodes and networks of places trailed in the paragraphs above together with civic involvement at its core.